To many, we’re better known for our carpet-cleaning and leather-care services in the Brisbane Northside suburbs. But we’ve also developed a niche in professional tile and grout cleaning that’s become one of our more popular home-care services—a way to deep clean and restore dirty, tired-looking flooring to restore it to like-new condition. We even use the same proven procedures to clean vinyl and no-slip vinyl flooring in kitchens and large commercial settings. And when we’re done, our customers are not only satisfied but relieved to be free of the thankless chore of trying to clean tile and grout as well as vinyl floors on their own. Why waste your valuable time and energy when we can do it faster and far more effectively, with zero hassle or clean-up afterwards on your part? Meanwhile, our prices are so reasonable, you’re only regret will be not calling us sooner. Our tile, grout and vinyl flooring cleaning services are performed using only the best commercial cleaning solutions followed by powerful dirt extraction using our truck-mount system. It’s ideal for both home and commercial settings, resulting in a level of clean you probably haven’t seen in years—no matter how often you mop or use do-it-yourself tile and grout cleaning methods. It’s a small investment that produces amazing results. And we treat every job with equal care, no matter the size—whether it’s a single home bathroom or a large commercial kitchen. 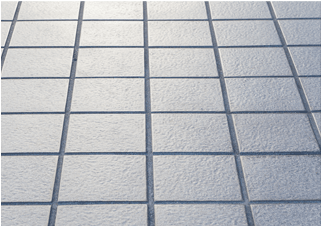 We have a six-step approach to professional tile and grout cleaning which is effective for both ceramic and porcelain tiles. First we make sure our process is suitable for the type of tiles you have. Next, we’ll move most or all furniture when possible to ensure a more thorough cleaning. Then we’ll get down to work by thoroughly sweeping or vacuuming the area to remove dry dirt and large particles, followed by application of our commercial cleaning solution and finally high-pressure and extraction cleaning with our commercial-grade truck-mounted system. Our system is proven to remove built-up grease, soap scum, soil and more in any setting for like-new surface restoration. We’re able to achieve these results because we only use the best cleaning materials, equipment and techniques, leaving no detergent residue or nagging missed spots behind. And because we do it all the time, we’re far more efficient than any do-it-yourself method while producing dramatically better results. That’s no small thing, because while people often think that cleaning tiles and grout or vinyl floors is just another chore to check off the housekeeping list, the reality is that it’s difficult and time consuming to achieve real results when you’re dealing with tiling—and the smaller the tiles, the harder it is—and dirt-attracting grout. It’s a tough job, but somebody’s got to do it. Let it be us! 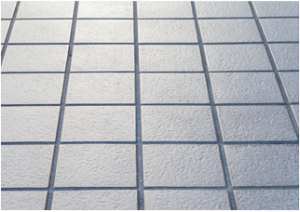 Please contact us today to discuss your tile-and-grout or vinyl cleaning needs. We look forward to hearing from you.